This medicine is an hmg-coa reductase inhibitor (also known as a "statin") used to lower cholesterol and triglyceride levels in your blood. It may also be used to treat other conditions as determined by your doctor. Do not take this medicine if you are also taking gemfibrozil, hiv protease inhibitors (such as ritonavir, lopinavir, or nelfinavir), azole antifungals (such as itraconazole or ketoconazole), macrolide antibiotics (such as erythromycin, clarithromycin, or troleandomycin), or nefazodone. If you are currently taking any of these medicines, tell your doctor or pharmacist before starting to take this medicine. Additional monitoring of your dose or condition may be needed if you are taking amiodarone, "blood thinners" such as warfarin, bosentan, cyclosporine, diltiazem, fluconazole, imatinib, high doses of niacin (1 gram or more per day), fibrates (such as clofibrate or fenofibrate), verapamil, dalfopristin, quinupristin, voriconazole, or st. John's wort. Do not start or stop any medicine without doctor or pharmacist approval. Inform your doctor of any other medical conditions, including muscle problems, alcohol use, allergies (especially to other "statins"), pregnancy, or breast-feeding. Use of this medicine is not recommended if you have a history of liver disease or abnormal liver function test results. Certain medical conditions, including low blood pressure; severe infection; uncontrolled seizures; or serious metabolic, endocrine, or electrolyte problems may increase your risk for side effects that can result in kidney problems while taking this medicine. Contact your doctor if you develop one of these conditions. Contact your doctor or pharmacist if you have any questions or concerns about taking this medicine. Follow the directions for using this medicine provided by your doctor. If you take 1 dose daily, take it with your evening meal unless directed otherwise by your doctor. 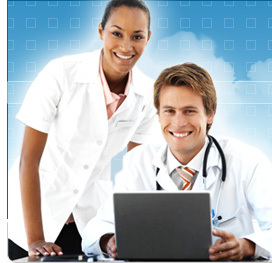 Dosage is based on your medical condition, response to therapy, and use of certain interacting medicines. Consult your doctor or pharmacist for more details. Do not eat grapefruit or drink grapefruit juice at the same time you take this medicine. Do not take this medicine if you have had an allergic reaction to it or are allergic to any ingredient in this product. Laboratory and/or medical tests, including liver function tests and blood cholesterol levels, may be performed to monitor your progress or to check for side effects. Keep all doctor and laboratory appointments while you are using this medicine. Before having any kind of surgery, tell your doctor that you are taking this medicine. Eating grapefruit or drinking grapefruit juice while you are taking this medicine may increase the amount of this medicine in your blood, which may increase your risk for serious side effects. Talk with your doctor before including grapefruit or grapefruit juice in your diet while you are taking this medicine. For women: do not use this medicine if you are pregnant. If you suspect that you could be pregnant, contact your doctor immediately. 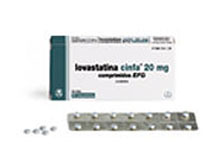 It is recommended that women of childbearing age use effective birth control measures while taking this medicine since lovastatin may cause fetal harm. It is unknown if this medicine is excreted in breast milk. Do not breast-feed while taking this medicine. A side effect that may occur while taking this medicine include constipation. If it continues or is bothersome, check with your doctor. Check with your doctor as soon as possible if you experience rash, yellow skin or eyes, unusual bleeding or bruising, or sore throat. This medicine may infrequently cause muscle damage (which can rarely lead to a very serious condition called rhabdomyolysis). Stop taking this medicine and contact your doctor immediately if you experience muscle pain/tenderness/weakness (especially with fever or unusual tiredness). An allergic reaction to this medicine is unlikely, but seek immediate medical attention if it occurs. Symptoms of an allergic reaction include rash, itching, swelling, dizziness, or trouble breathing. If you notice other effects not listed above, contact your doctor, nurse, or pharmacist.